Ottoman naval map making began with Piri Reis (born 1465 in Gelibolu). His Kitab-i Bahriye (Book of Navigation) is a detailed book of every harbour and island in the Mediterranean. Until 1492 Piri Reis served with Kemal Reis on his pirating expeditions along the coast of Spain. At the request of Sultan Beyazid II (1481-1512), both Piri Reis and Kemal Reis abandoned piracy to enter the service of the Sultan as naval commanders. After the death of Kemal Reis in 1510, Piri Reis returned to Gelibolu and began the work on his book. In 1517, he returned to service as the Admiral in the Egyptian campaign of Selim I. He completed his work including the world maps in 1528 and presented it to Sultan Suleyman the Magnificent. Reference: Mine Esiner Ozen, Piri Reis and His Charts. 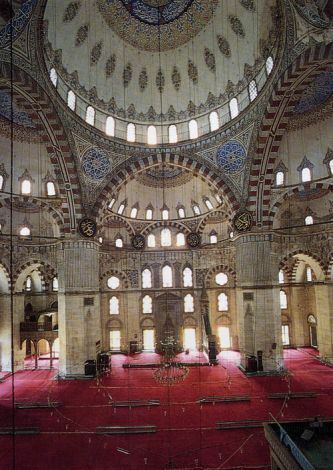 Istanbul: N. Refioglu Publications, 1998.